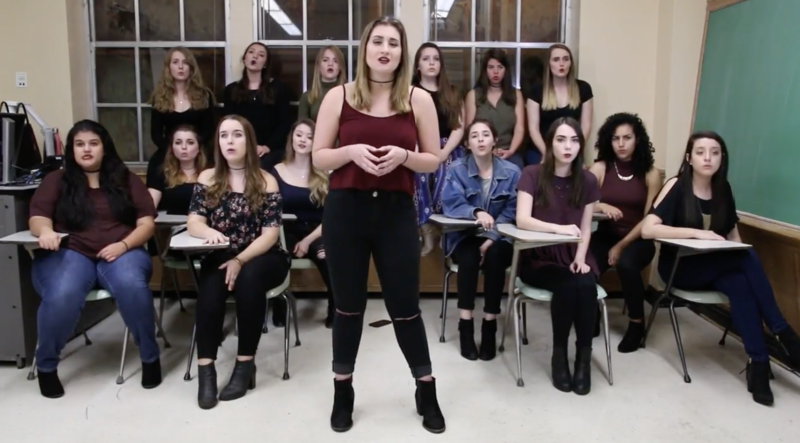 Watch FSU AcaBelles Sultry & Hypnotizing Rendition Of "Earned It"
By now, it should be no surprise that when the AcaBelles of FSU put their stamp on a cover song, it will more than likely result in the Midas touch. And their latest video is in every way gold. The Weekend meets cabaret-styled a cappella in this sultry cover of "Earned It" which has all the allure of a James Bond opening. The vocal control of the AcaBelles is unreal as the group is patient with the song's buildups and impressive with the way they feed off the energy of one another to express one unified sound. And can we talk about the group's overall demeanor? Not only is the group vocally exceptional, but the AcaBelles world-class sound is only matched by their ability to simultaneously deliver on the visual performance aspect. The overall presentation is simple, but impactful. The AcaBelles are indeed the whole package and once again, they prove it with another spectacular video.